Michael McFadyen's Scuba Diving - Olympia Maru Launched in August 1927 from the Nagasaki shipyards of Mitsubishi Zosen Kaisha Ltd, the Olympia Maru was 122 metres long and almost 17 metres wide, displacing 5612 tons. The ship was originally powered by a steam engine but during 2 June to 2 August 1930, an oil two stroke six cylinder engine producing 582hp was installed. The ship was built for Mitsubishi Shoji Kaisha Ltd and was owned by them right up till it sank (it was requisitioned by the Japanese Defence Forces during the War but was still owned by Mitsubishi Shoji Kaisha Ltd). I do not know anything else about this ship yet. In late September 1944 with some Japanese ships, including a convoy of 12 Japanese ships, taking refuge in the Busuanga Island area of the Northern Palawan group of the Philippines. Eight of the ships were anchored in Coron Bay, the rest to the west and at least one on the northern side of Busuanga Island. The Olympia Maru was anchored off the western side of Tangat Island. The planes attacked the ships in Coron Bay and the ships to the west first. After a frenzied 45 minute attack the planes left, leaving behind numerous sunken ships. It is reported that the Olympia Maru was attacked by 10 aircraft and the fourth apparently scored a direct hit amidships, perhaps on a fuel tank, and the engine was disabled. It is reported that at 1:30 pm there was a raging fire. The ship started sinking and at 2:26 pm she went down stern first, taking with her 19 Japanese sailors. Most of the ships anchored around Coron were also sunk. Today 14 of these wrecks have been located and most can be dived from Coron. See my Coron Page for more information. This wreck used to be more popularly known as the Tangat Wreck as it lies a few metres off the south-western side of Tangat Island. It was also known as the Morazan Maru. For a while, it was also thought to be the Ekkai Maru, formerly SS Morazan. It was also known locally as Morazan Maru or Moruzan Maru. However, the correct name is Olympia Maru. 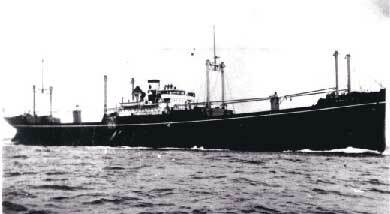 The SS Morazan was sunk in Manila Harbour on 22 September 1944. The ship formerly known at Coron as Olympia Maru is actually the Taiei Maru. The ship is quite large, more than 120 metres long. The main deck lies in 18 to 24 metres and the wreck is fully intact lying upright. The bow section is very interesting and the forecastle area quite exciting to explore. Behind this there is a kingpost and then two holds. There is not a enormous amount to see in the holds but there are bits and pieces here and there. Despite the fact that the bridge area is fairly intact, the section of ship above the engine has been dramatically altered from its original. Whether this was from the American attack or later salvaging (or perhaps a combination) was hard to tell on only one dive. Either way, the engine has been salvaged although the boilers are still in good condition. The engine is very open but there are still many areas to explore under and between the boilers. Two more holds are found behind the bridge and inside them go can see the prop shaft alley and salvage efforts. Like most (all?) other wrecks here, the prop has been salvaged and it is possible to swim into the shaft and exit inside the hold. The stern section of the wreck also has some smaller compartments that can be entered, but some care is needed. The whole wreck is covered in growth, making the wreck seem like a live reef. Fishlife is also very good, with many schools of large fish swimming over the wreck and between the four kingposts. All in all, an excellent shallow dive of a real, Japanese war wreck. Coron History Report by Peter Heimstaedt - Note Mr Heimstaedt emailed me a number of times in the late 1990s telling me that the information I had then on my site about this wreck was wrong but refused my requests for the real information. On his site he has a number of derogoratory remarks about me.